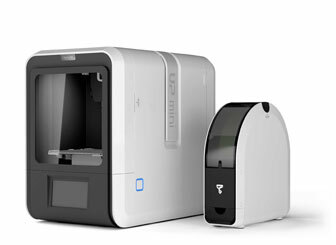 The UP BOX, flagship model of UP series 3D printers, has the largest build volume of 255 × 205 × 205 mm, a better resolution at 100 micron layer thickness. 20% faster than UP Plus 2, it’s fitted with integrated leveling probe, air filter and LED light bar. 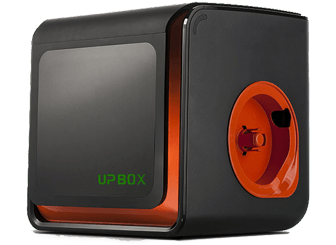 Designed for offices, studios, workshops, hackerspaces, etc, UP BOX is your first choice for professional desktop 3D printer. 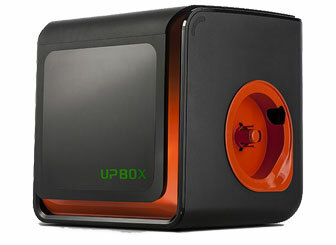 UP BOX provide an build volume of 255 × 205 × 205 mm (W × H × D) for extra large print jobs. Its large print platform enables small batch 3D printing productions to be carry out with unprecedented efficiency. At the same print quality, UP BOX prints 20% faster than the UP Plus 2. 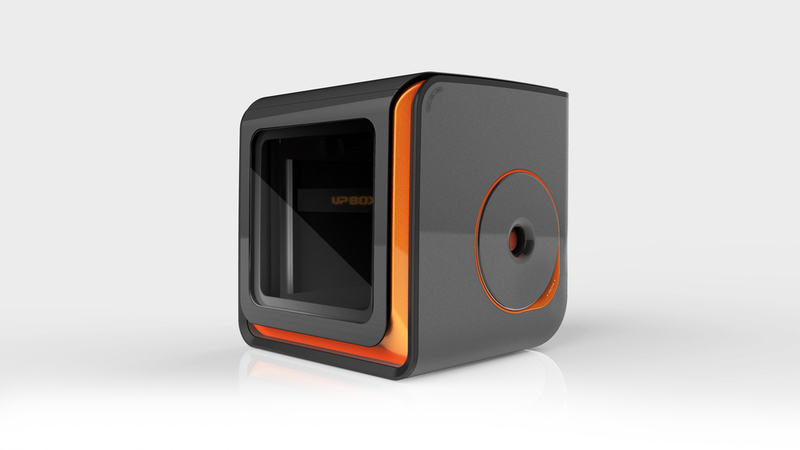 Moreover, it prints in 100 micron layer height which gives the best resolution in the UP series. UP BOX produces very little noise, with a build-in air filter that absorbs fumes and minimize odor, you will feel comfortable working with it in the same room, on the same desk. UP software is simple to use, feature rich, fast and free. It’s easy enough for rookies and versatile enough for gurus. Supporting Structure Smart Support Technology: automatically generated, easy to remove and fine-tunable. Platform Leveling Full automatic leveling with integrated leveling probe. Advanced Features Closed working chamber, Air Filtration, Light-Pulse functional LED. Chassis Plastic case with metal frame, enclosed.